More than personal boundaries, this book is really about relationships — healthy and unhealthy ones. Here bestselling author and psychotherapist Charles Whitfield blends theories and dynamics from several disciplines into practical knowledge and actions that you can use in your relationships right now. 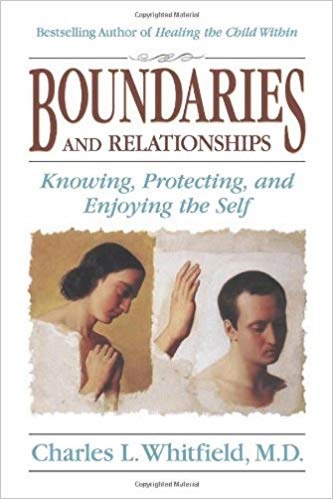 This comprehensive book opens with clear definitions and descriptions of boundaries, a self-assessment survey and a history of our accumulated knowledge. Going deeper, it describes the 10 essential areas of human interaction wherein you can improve your relationships. These include age regression, giving and receiving (projection and projective identification), triangles, core recovery issued, basic dynamics, unfinished business and spirituality. It shows in countless practical ways how knowledge of each of these is most useful in your recovery and everyday life.